This chapter focuses on the development of electrically operated cartographic inventions before 1960. As early as 1910, inventors had devised clever ways for using electricity to make maps interactive. Examples include early electronic locator maps placed in kiosks for tourists or shoppers, and maps integrated with automated signaling systems for fire alarms and police calls. Later inventions provided instant feedback on a geography quiz or orchestrated the automated cutting of three-dimensional relief models for the military, which fostered the transition to interactive, online, and mobile mapping. 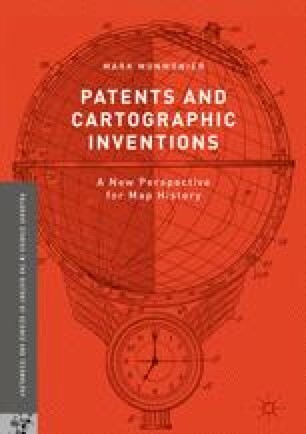 In the digital era, map-related patenting shifted from independent inventors to the corporate sector, where multiple employees were often named as inventors, and patents became assets to be bought and sold as well as defensive weapons against infringement claims.